5-HTP (5 Hydroxytryptophan) is the closest precursor for Serotonin production, requiring just one chemical conversion before being turned into serotonin. 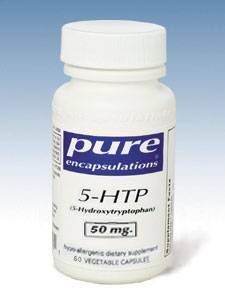 5-HTP is derived from Tryptophan which is an essential amino acid which can only be found in meat and in low amounts in dairy products. Vegetarian diets will be low in Tryptophan while vegan diets will be completely lacking in Tryptophan, which may in turn reduce serotonin production, and subsequently melatonin will also be in short supply. Taking 5-HTP or L-Tryptophan can greatly improve serotonin production, which will in turn raise your body's own melatonin production. 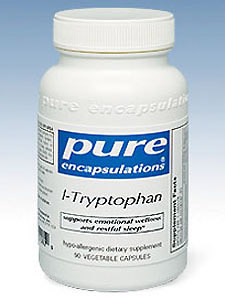 Tryptophan is lacking in much today's modern diet, even those of us who eat meat regularly are probably lacking in tryptophan. This is due to the fact that animals are fed a corn and grain diet that is low in tryptophan, resulting in low quantities of tryptophan in chicken, beef, eggs and dairy products. Turkey is famous for being high in tryptophan, however it is in all meat, dairy, and eggs to some extent. then L-tryptophan or 5-HTP is very much indicated for your type of insomnia since these are all signs of a serotonin deficiency. Other factors such as stress, marital problems, unhealthy relationships, dissatisfaction with your work, and other personal issues should also be resolved with the help of a professional psychologist or counselor. These substances are not meant to take the place of therapy, but to offer the body natural support in its ability to produce the necessary neurotransmitters that are required for a healthy sleep cycle. Dosage: 2-3 tablets taken 1 hour before bedtime. For severe cases take another dose when going to bed. You may also take it when you wake up to help you go back to sleep. Take 1 pill at a time during the day to reduce anxiety and nervousness. 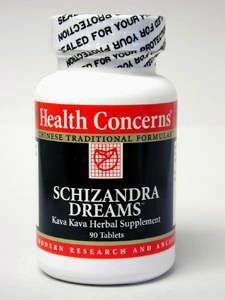 Schizandra Dreams is a very effective herbal remedy for insomnia which includes such powerful insomnia herbs as Valerian root and Schizandra berries along with the tranquilizing minerals of Calcium and Amber. This formula should only be taken in the evening and also right before going to bed because it will cause extreme drowsiness if taken during the day. Valerian root is an extremely important herb for insomnia and is native to North America and Europe. Clinical trials have clearly demonstrated the effectiveness of Valerian in helping to relieve insomnia and provide deeper sleep. Valerian root does not cause morning drowsiness as does other sleep medications such as barbiturates and benzodiazepines. Schizandra berries are a very powerful ancient Chinese herbal remedy for anxiety, insomnia, night sweats, and is considered an Adaptogenic herbal substance. What this means is that it has the ability to both nourish and tonify the nervous system, brain, and blood, and at the same time has been used to cleanse and detoxify the liver, clear out chronic infections, and is even used in China in the treatment of cancer. Oyster Shell (Mu Li) is also a Chinese herb used for centuries to help calm and sedate the mind. Oyster shell provides a lot of Calcium in a bioavailable form which can dramatically calm down agitation and put you to sleep. Amber (Hu Po) is another ancient Chinese herbal remedy for insomnia, anxiety, manic disorders, depression, and has been used clinically in the treatment of cigarette, alcohol and other drug addictions. Amber is very sedating and calming to nervous system, and when combined with the herbs above, helps make 'Schizandra Dreams' one of the most powerful natural remedies for insomnia. 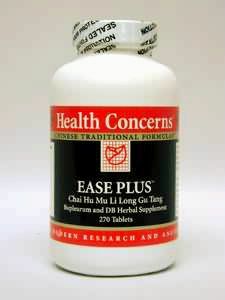 Ease Plus by Health Concerns is based on the classic Chinese herbal formula Chai Hu Long Gu Mu Li wan. This formula is designed to relax the mind and "Sedate Liver Yang". Heavy minerals such as oyster shell and fossilized bone provide a bioavailable form of Calcium which helps to slow down our nervous system and causes a sedative effect on our minds. This formula also contains many other herbs such as Bupleurum and Scutellaria which are very effective at reducing physical and mental agitation while helping us resolve the effects of stress on our bodies and minds. This formula is also commonly used in the treatment of anxiety, addiction, compulsive behavior, depression, stress, anger management, and can even help with psychological conditions such as bipolar and schizophrenia. Combined with L-Tryptophan or 5-HTP, these herbal remedies for insomnia are very effective. The most important substance made in the body to help you fall asleep is Melatonin. 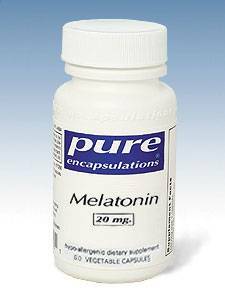 Melatonin is made in the pineal gland and is the principal neurotransmitter in helping to prepare the mind and body for sleep. Melatonin production increases dramatically when the light is reduced, as in the sun going down. When we continue to run electric lights at night, or sit behind a bright computer screen or TV, we are reducing our body's own melatonin production and worsening our insomnia. Melatonin is derived from serotonin, therefore a short supply of serotonin in the brain will result in insomnia and other sleep disorder. SSRI drugs such as Prozac or Zoloft may actually worsen insomnia because they keep serotonin active longer, which will in turn prevent it from being converted into melatonin or other endorphins. While melatonin can work remarkably on its own as a natural remedy for insomnia, combining it with natural substances which can also increase your Serotonin production will help to provide a more effective long term solution for chronic insomnia.